US Open 2018: Federer's last chance to surpass Connors and Sampras? A decade on from his previous US Open triumph, could 2018 be the year Roger Federer usurps Jimmy Connors and Pete Sampras as the event's most successful man in the Open era? The Swiss maestro won five successive titles at Flushing Meadows between 2004 and 2008, equalling the record jointly shared by those two giants of the sport. Federer has, of course, become a colossus in his own right since then, this year's Australian Open triumph taking his tally in grand slams to 20 - three more than nearest challenger Rafael Nadal. But the burning question remains; how long can Federer continue to defy Father Time? 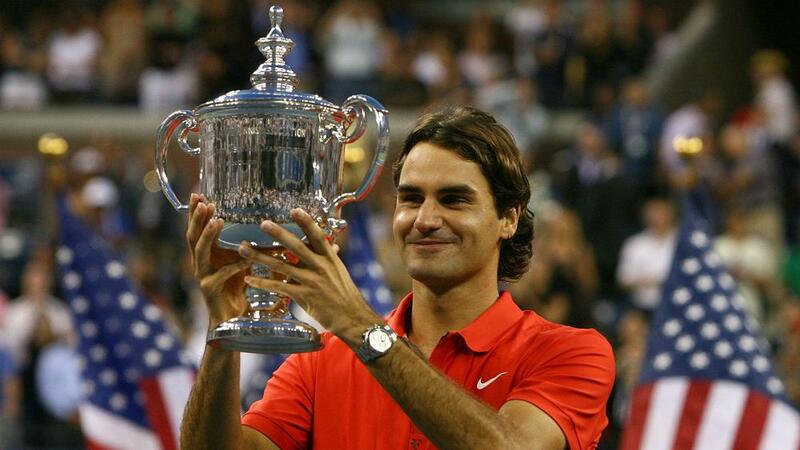 Having never gone beyond the fourth round in five previous attempts, Federer claimed his maiden US Open in 2004 - a year in which only the French slipped from his grasp in terms of major honours. Lleyton Hewitt was defeated in straight sets in the final, while any partisan spectators backing Andre Agassi and Andy Roddick were sorely disappointed in the next two editions. Novak Djokovic and Andy Murray were beaten in 2007 and 2008 respectively, but Federer's dreams of a sixth straight triumph were surprisingly scuppered in the following year's final as Juan Martin del Potro twice came from a set down to prevail in an epic. It would be six years before Federer would have another chance at glory in New York, Djokovic gaining a measure of revenge in the 2015 final. The Swiss was absent 12 months later and last year Del Potro proved his scourge once more with an inspired quarter-final performance. At the age of 37, he is certainly nearer the end of his career than the start but after an injury-ravaged 2016 - his only trophy-free season since 2000 - few could have foreseen Federer's remarkable renaissance. Last year, he picked up seven titles with an overall 52-5 win-loss record. That septet included two major crowns - at the Australian Open and Wimbledon - and three Masters 1000 events. He lost just one of 21 matches in the latter series. This season, he has fallen short of replicating that stunning success, a 33-5 record indicative of an understandable but perhaps equally telling drop in standards. He is 9-3 in Masters tournaments including two finals, losing out to Del Potro in Indian Wells before last weekend's straight-sets defeat in Cincinnati to an ominously in-form Djokovic. ...As ever, for Federer, is to maintain his finest form despite his advancing years. The other two most likely contenders at Flushing Meadows this year, Nadal and Djokovic, each have at least five years on their great rival. That will undoubtedly impact on the trio's respective fortunes in the long term, but over the course of the upcoming fortnight in New York, such disparities should count for little and Federer, on course for a last-eight meeting with Djokovic, unarguably has the game to topple both. And there can be no questioning his mental edge, either. The Swiss remains as sharp as ever, continuing his unrelenting pursuit of glory while never seeming to lose that customary cool on the court. But even he, usually so supremely confident, must enter this year's event with the niggling doubt that this could be his last realistic shot at surpassing Sampras and Connors to ensure he stands above them all in the US Open history books.